Apple Fontana and Kaden Curtis from Swanton Middle school tried out for the high school play and made it! 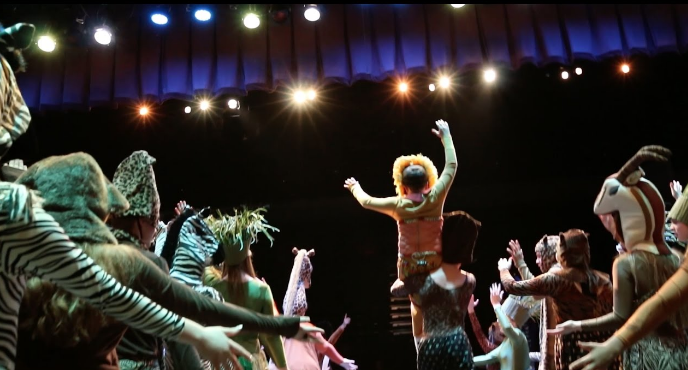 The Lion King Jr was on March 30th, 31st, April 1st, and 2nd. Their commitment and hard work really did pay off. Apple played Nala and Kaden played Simba. Kaden’s favorite part about being in the play was singing the popular song, Hakuna Matata. Apple like going to the waterhole. Kadens least favorite part was the hitting the high note in one of the songs. He said, “It was very difficult to do.” Apples least favorite part was wrestling Kaden. 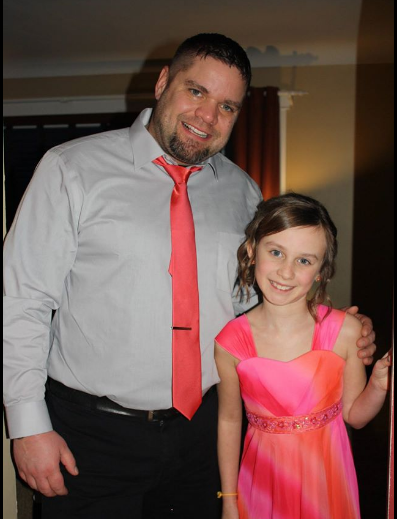 They both agreed that it was a great experience and would definitely participate in another one! In conclusion, Apple and Kaden were perfect for the part. They gave it their best and it turned out great. Hard work and commitment always pays off! So the next time you hear about Swanton’s annual play and you have always wanted to be on stage performing, give it a try! 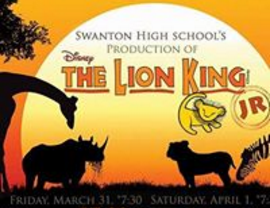 If anything, these plays are so entertaining so be sure to note miss the next performance if you did not get a chance to see the Lion King Jr. The Cast of the Lion King Jr. The Costumes were a highlight of this production! The Lion King Jr Program was a hit! Whether visiting Ohio on business or pleasure, many fantastic attractions await to entertain you and your loved ones! Attractions like Hocking Hills, Cleveland, and Cedar Point are sure to make your stay in Ohio worthwhile. If you’re looking for a fun outdoors experience, look no further! 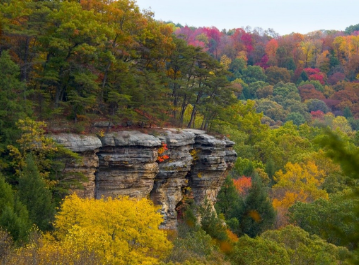 Hocking Hills is the perfect place to go for a hike or for a fun overnight camping adventure. Hocking hills is home to caves like Old Man’s Cave and Ash Cave. Campers can also have a blast on the zipline or relax on a peaceful canoe trip. Are you an adrenaline junkie looking for the perfect roller coaster? 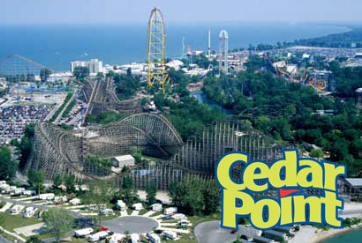 Then, Cedar Point is just for you! It is one of the world’s best Amusement Parks with roller coasters like the Top Thrill Dragster, the second tallest and third fastest roller coaster in the world! The amusement park features a world record 71 rides. You will always have something to do at the Point whether it be riding rides, eating delicious food, or even playing in the water park next to Cedar Point, Soak City! Ohio is famous for many things, many of which can be found in Cleveland. The Rock and Roll Hall of Fame is the main attraction. The rock museum has famous inductees like, Elvis Presley, The Beatles, The Rolling Stones, Tupac, KISS, and many more! The Rock and Roll Hall of Fame is a fun opportunity to learn about the legendary people who have shaped the world we know today with their amazing music. If you are ever in Cleveland be sure to check it out! So if you are ever in Ohio and looking for a fun time, consider these fun and family friendly places. Julia is the newest muppet on Sesame Street. Why is she special? 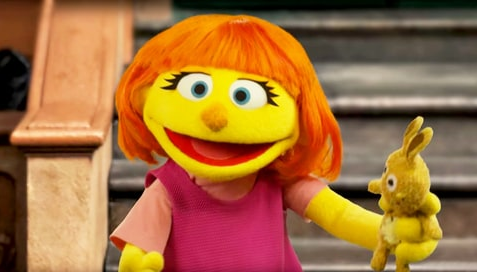 She is the first muppet with autism. You normally don’t see cartoons characters that have disabilities. Sesame Street is leading the way in showing acceptance through their muppets. You may be wondering “what exactly is autism?” Autism is a mental condition that can make it hard for kids to communicate. Autism can be diagnosed during early childhood. It is diagnosed in more boys than girls but does not mean girls can not be diagnosed with autism. 1 in 64 children are diagnosed with autism, however the rate of autism is growing. Children with autism do progress if they have the opportunity to be involved in proper interventions to learn social and emotional skills. Julia has orange hair, yellow skin, and a pink dress. She also has green eyes. Julia does things differently than the other muppet does. For example, Julia flaps her hands to show excitement, uses simple language and has a difficult time with loud noises. Julia likes to paint and pick flowers. Julia the muppet is played by Stacey Gordon. Stacey Gordon, a puppeteer, has a son who has autism, and used to work as a therapist to children on the autism spectrum. Gordon also creates puppets and sells them. "There's so many people that have given her what she is. I'm just hoping to bring her the heart," says Stacy Gordon. Her son is now 13 years old and loves math and science. Sesame street has been teaching and inspiring children for years. Now with this new Muppet, they will learn more about new people that are as unique as everyone else. The ooey gooey substance that is sweeping the nation and taking over the lives of young children may not be something that you think about on a daily. 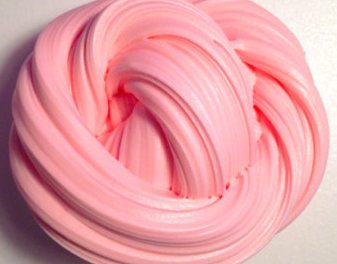 The new and homemade slime is something captivating all children young and old. Kids of all ages have been obsessed with this new creation since December of 2016. Some of these common ingredients turn out to be slightly toxic and dangerous with close contact. According to reports made by a Connecticut pediatrician, Richard Uluski, some side effects of slime ingredients seem to mimic a common cold when played with for too long. The kids started to get headaches and runny noses. Then, they had stomach aches and coughs. They thought they caught the common cold but as soon as the parents took away a key ingredient in slime the kids were all better. 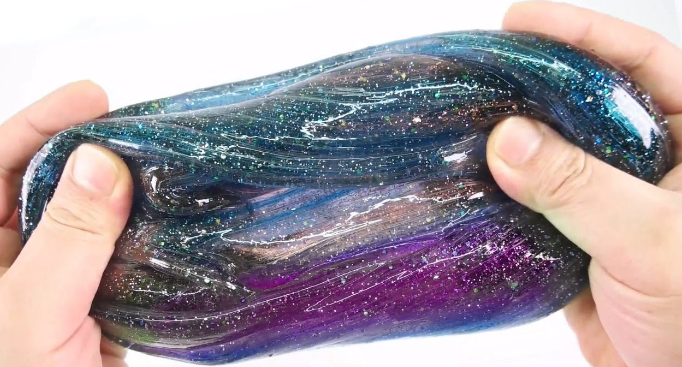 A young Girl was making slime when she felt a slight tingling sensation in her hands. The girl ended up getting severe second and third degree burns on her hands. This occurred because of one specific ingredient, Borax. Borax was originally used as a laundry detergent because it got rid of all the stains. Borax may seem harmless but it is actually Sodium tetraborate decahydrate which is toxic to the human body. Beware of Borax. 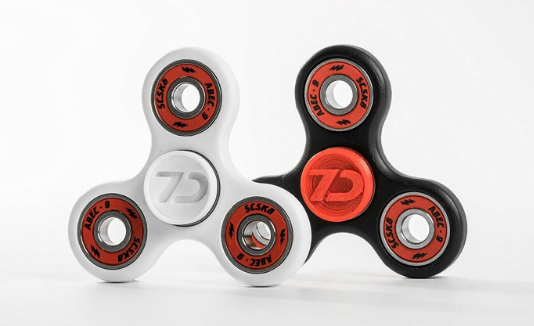 Another big trend that has been getting popular are Fidget Spinners. Fidget Spinners are currently a huge trend going through the nation and school. They were created for kids with ADHD, ADD and other problems like paying attention in class and anxiety. The creator of Fidget Spinners is Cathrine A. Hettinger. She made the fidget spinners for helping relieve stress in office workers and help kids pay attention in school, currently they have been banned from our school because of improper use by some students. Kids were aggravated by the ban because of the recent Slime ban as well. In conclusion, slime and spinners are NOT toys. These items are used by multiple people for multiple reasons like stress relief and anxiety help. Most of the kids at our school were using them incorrectly, so as a result, they are now banned. Although both stress relievers are banned at this school, they are still a massive trend spreading through the United States and further. Life on a Different Planet? Could there possibly be life on another planet? Possibly a “second Earth”? A recently discovered solar system holds the most similar planet to Earth, Kepler-186f. N.A.S.A’s Kepler telescope discovered Kepler-186f on April 17, 2014. This planet has been called the most similar to Earth (roughly the same size and could hold liquid form of water) and N.A.S.A.’s scientists have said that this is the most habitable planet discovered. 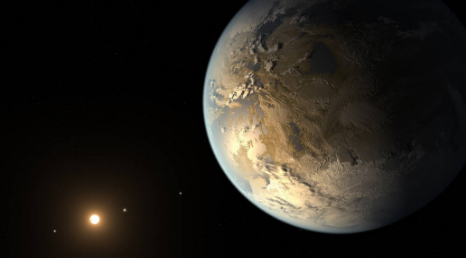 The size of Kepler-186f is known to be less than ten percent larger than Earth. Its mass, composition and density are not known. Kepler-186f is located in the Kepler-186 system in the constellation Cygnus. The system is also home to four inner planets. They’re seen lined up in orbit around a host star that is half the size and mass of the sun. In recent years scientists have made many new life changing discoveries. Who knows what will be next for mankind? Pour one cup of sugar into measuring cup, then pour it into mixing bowl. Take your egg, crack it then put the cytoplasm in the mixing bowl. Take 1 tsp of baking soda and put it into the mixing bowl. Put a sandwich bag in a measuring cup then pack one cup of peanut butter in the bag. 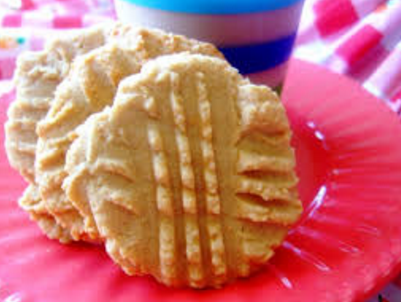 Put peanut butter in mixing bowl. Roll cookie dough into ball then place onto cookie sheet. Put cookies in oven for 5 to 8 minutes. Easter is a National holiday celebrated by many people. An important aspect of Easter is the Easter Bunny and Easter Eggs. An important thing to know about Easter is when it is celebrated. Easter is always on a Sunday and can be as early as March 22 or as late as April 25. For this reason Easter is considered a movable feast. Even though Easter is known as the resurrection of Jesus, Easter got its name from the Goddess of Spring named Eostre. Another fun fact is that Easter eggs are seen as an ancient form of fertility. 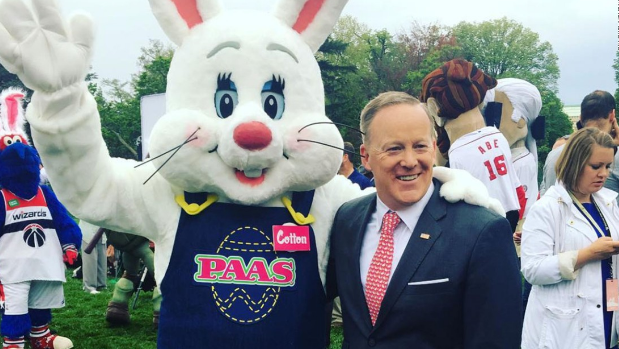 A place where Easter eggs are used is an event widely known as the “White House Easter Egg Roll”. The president and his family have been participating in this tradition since 1878. However, nearly 200 years earlier, the Easter Bunny made his debut in a story. The first story of a rabbit hiding eggs in a garden, later named the Easter Bunny, was published in 1680. Those are just some of the facts about a well known holiday that has been celebrated across America and beyond. I hope you enjoyed this article about Easter and it’s aspects. Before coming to SMS he went to school at PDY Schools (Pike Delta York), got his undergrad at the University of Toledo, and got a masters degree at BGSU (Bowling Green State University). He originally planned to join the military then be a firefighter but decided to be a teacher to give back and help the future of society. When asked what drove him to come to SMS he responded with, “My car, duh!” He chose to come to SMS because he grew up in a small community like Swanton. When asked what his favorite band/artist was he couldn’t decide what he liked best so he provided a list of his favorites. Ryan Bingham, Hank Williams Jr, Chris Stapleton, Alice-n-Chains, Nirvana, and Skillet. 6th graders that will be in Mr.Hill’s class will have a great year with him. He helps plan 6th grade camp which will be one of the best experiences of their lives, with something different every year. Now that you know Mr. Hill a bit more go stop by his room and say hi. Also go buy one of the Swanton coins he´s selling. In the end Mr. Hill is still Swanton Middle Schools goofy 6th grade social studies teacher.